Ajnia is the ambient and downtempo project of Javier Gomez, an artist based in Madrid, Spain. 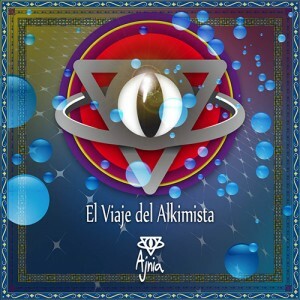 In his debut, El Viaje Del Alkimista (The Journey Of The Alchemist), he presents a journey into himself developed in five stages. To fully understand the meaning of each stage please read the PDF included in the package. Mastered by Carlos Koschitzky at Master Studio, Madrid, with artwork by Elpirri. MP3 Download | FLAC Download | WAV Download · Download count: 8,048. Ole ese peazo de disco bueno y bonito …..
Me alegra verte por aqui Amigo Pirri , que este sea el primero de muchos discos y muchas musicas de Ajnia. Very very nice, total immersion . . and high levels of relaxation. Completely underrated. This is fantastic. Let me add: Ajnia provides for the best musical voyages I had here on Ektoplazm! Many thanks, and please keep up this amazing work, it is beyond words!